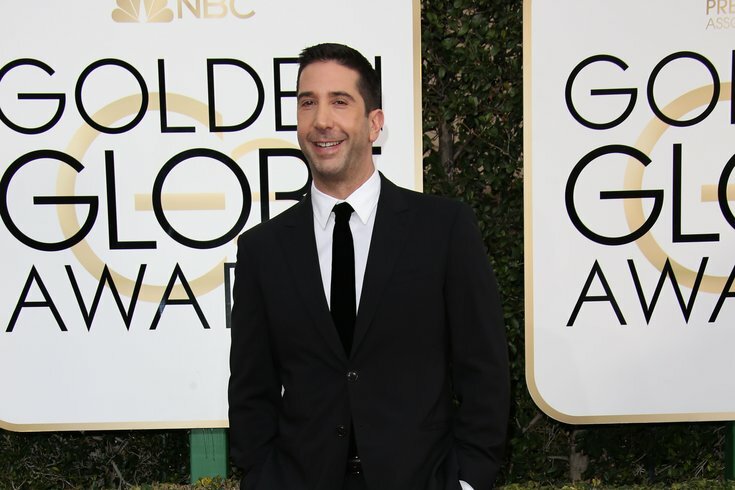 David Schwimmer arrives for the 74th Golden Globe Awards at the Beverly Hilton. David Schwimmer, famous for his role of Ross Gellar on the hit NBC show, "Friends," will be joining the cast of "Will and Grace" for season two. The two shows used to air one after the other on NBC's infamous Thursday night lineup. Eric McCormack, who plays Will, even admitted in an interview that he auditioned several times for the part of Ross. Schwimmer will play Grace's (Debra Messing) love interest and will be a reoccurring character on the show. But he's not the only celebrity love interest coming to the show for season two. Alec Baldwin, who played Karen's lover in season one, will be returning, and Chelsea Handler will also be a new addition to the show. Handler will play a high-powered attorney and the love interest of Mary McCormack's character, Janet. Friends in real life, McCormack had asked Handler to do the show, but she admits kissing Handler was difficult to digest, stating they’re “like sisters." McCormack will also star as the mom in the new ABC show, "The Kids are Alright," airing Oct. 16 at 8:30 p.m.
"Will and Grace" season two will air 18 episodes and premiere on Oct. 4 at 9 p.m. on NBC. The show will also be returning for a third season in 2019.